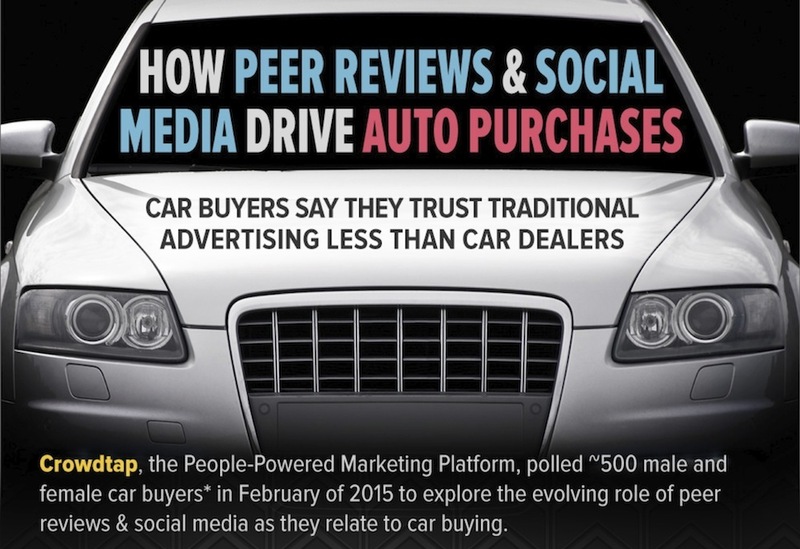 A new infographic from Crowdtap shows that 87 percent of people polled valued friends' comments on social media when considering an automotive brand. As Facebook tries to court auto manufacturers for ad space, it’s becoming evident that social media and peer reviews do play a part in the purchasing decision. A new infographic from Crowdtap shows that 87 percent of people polled valued friends’ comments on social media when considering an automotive brand. Additionally, 80 percent of those asked by Crowdtap said that they’d trust their social network over a salesperson for advice. Want to learn more? Check out the infographic below.